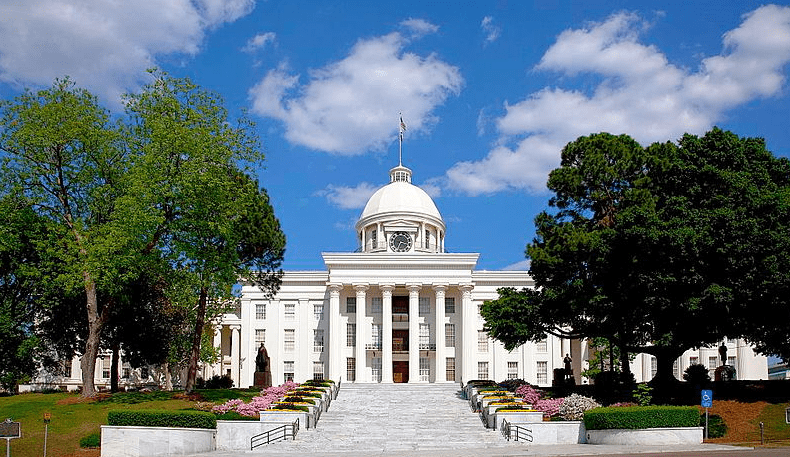 Originally part of the Mississippi Territory, Alabama became the nation’s 22nd state on 14 December 1819. It is the 30th largest state in the country, and the 23rd most populous. Photo: State Capitol Building, Montgomery, Alabama. Credit: the Carol M. Highsmith Archive collection, Library of Congress, Prints and Photographs Division. If you are researching your ancestry from Alabama, you will want to use GenealogyBank’s online AL newspaper archives: 81 titles to help you search your family history in “The Yellowhammer State,” providing coverage from 1813 to Today. There are more than 21 million articles and records in our online Alabama newspaper archives! Dig deep into our online archives and search for historical and recent obituaries and other news articles about your Alabama ancestors in these AL newspapers. Our Alabama newspapers are divided into two collections: Historical Newspapers (complete paper) and Recent Obituaries (obituaries only). 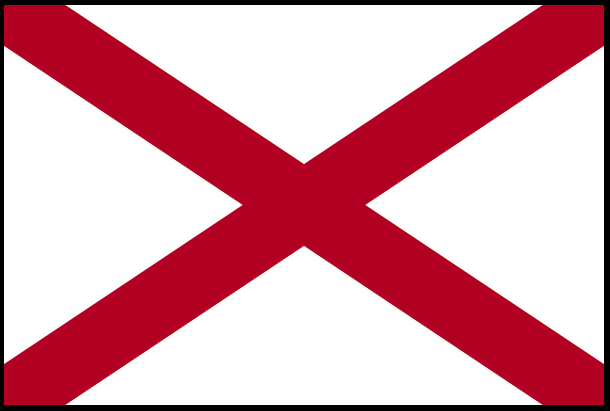 Illustration: state flag of Alabama. Source: Wikimedia Commons. Here is a list of online Alabama newspapers in the historical archives. Each newspaper title in this list is an active link that will take you directly to that paper’s search page, where you can begin searching for your ancestors by surnames, dates, keywords and more. The AL newspaper titles are listed alphabetically by city. You can either print or create a PDF version of this Blog post by simply clicking on the green “Print/PDF” button below. The PDF version makes it easy to save this post onto your desktop or portable device for quick reference – all the Alabama newspaper links will be live.